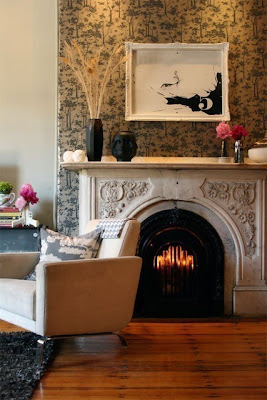 When it comes to fireplaces, I am a huge, raging fan. Sadly, our apartment did not come equipped with one. :-( I would so love a mantel to decorate, a place to sit on a chilly night in the winter months, and the ability to make a fireplace the focal point of my living room. 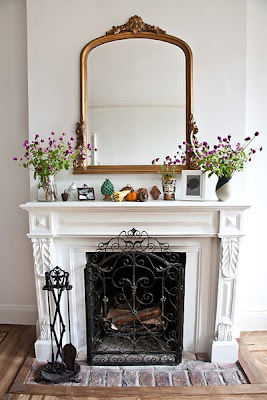 My husband tends to think that fireplaces are wasted space (in a small apartment, no less); but I have and will forever maintain my love for them. 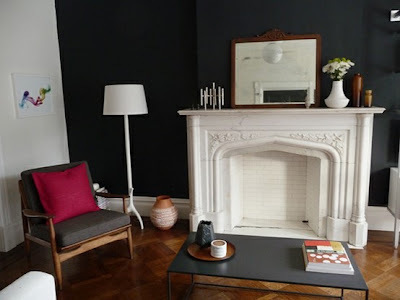 I love that this non-working fireplace is painted white amidst dark walls and is clearly for decorative purposes only. 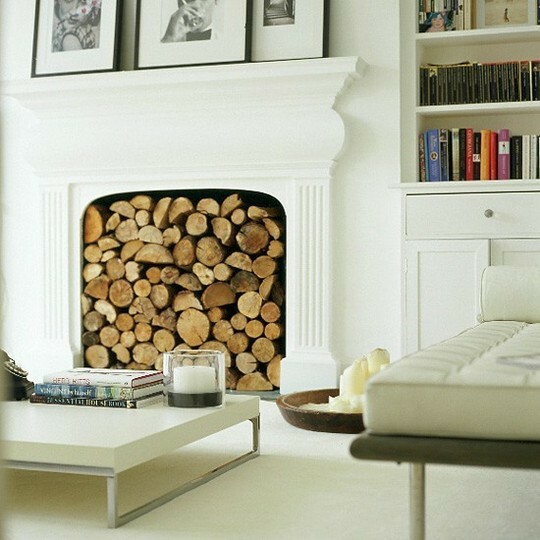 The white accents atop the mantle mixed with the wooden variety create a warm design. A fireplace filled to the brim with books. 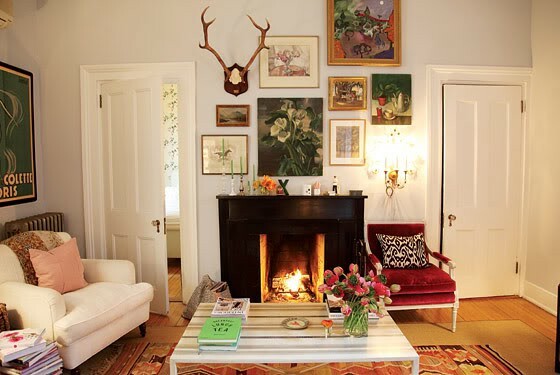 A quirky and interesting touch to a room, making the fireplace and the giant mirror above it the true focal point. A beautiful mantelscape with fresh Spring flowers and other decor sits atop a lovely white fireplace with a decorative metal grate. Seemingly vintage-inspired. Straight lines abound. 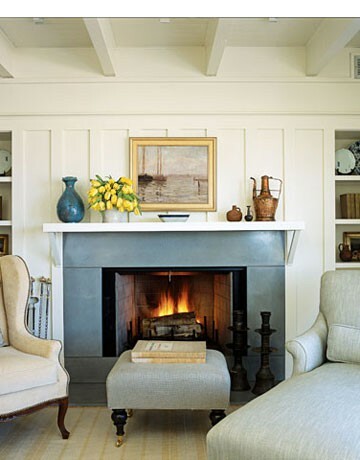 This fireplace, with its sea-blue-gray sheen, would look perfect inside of a luxurious beach cottage. A traditional, antique-looking fireplace is given a modern look with the decor and furniture surrounding it. Truly stylish. Here, a dark fireplace is subdued enough that it allows other colors to take center stage, but also makes a bold statement amidst the girly attributes of this room. 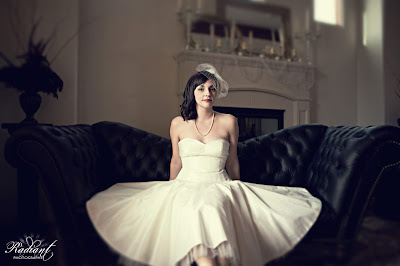 A couple of my sister-in-law's wedding photos showcase my mother-in-law's decorated mantle in the background. 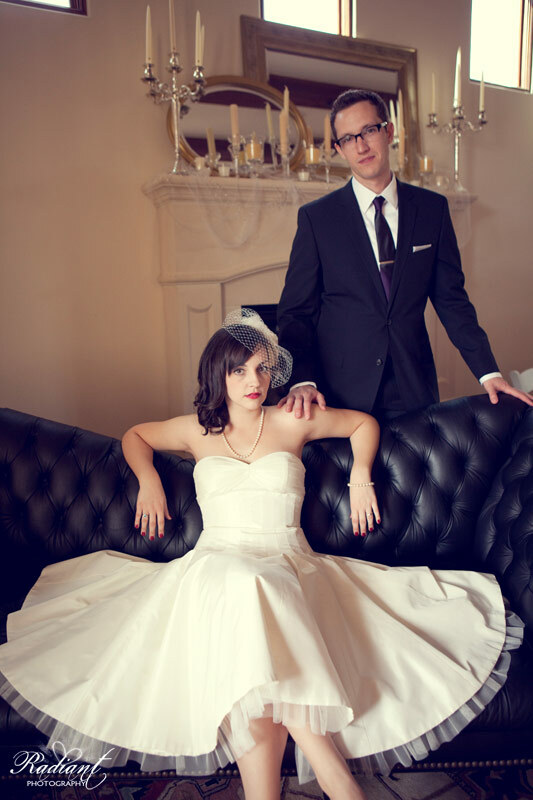 Candelabras and two giant overlapping mirrors create a beautiful backdrop. Do you have a fireplace in your home? Does your mantelscape change with the seasons? 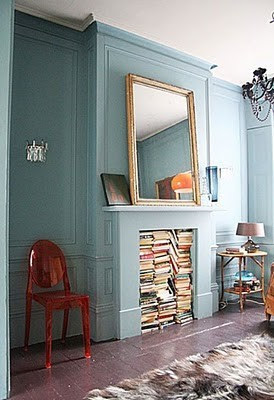 I love love love the fireplace with all the books...the slate/turq blue with that red chair really compliments one another. Offices: The Bolder, The Better! Wednesday Etsy Showcase: A Day Late!